Meghan's new title is the Duchess of Sussex. camera (Chris Jackson/Getty Images) The Duchess of Sussex departs after her wedding to Prince Harry, Duke of Sussex at St George's Chapel, Windsor Castle on May 19, 2018 in Windsor, England. Meghan Markle was given the title of Duchess of Sussex when she wed Prince Harry, and she now has her own coat of arms too. Meghan’s home state of California is represented prominently in the coat of arms, an image of which was released today by Kensington Palace. 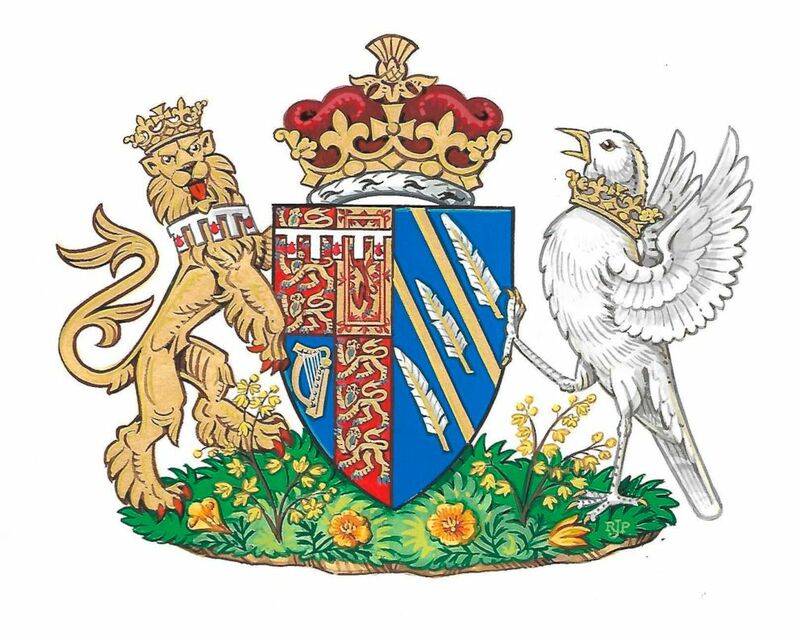 (Kensington Palace/PA via AP)) The newly created coat of arms of Meghan Duchess of Sussex. 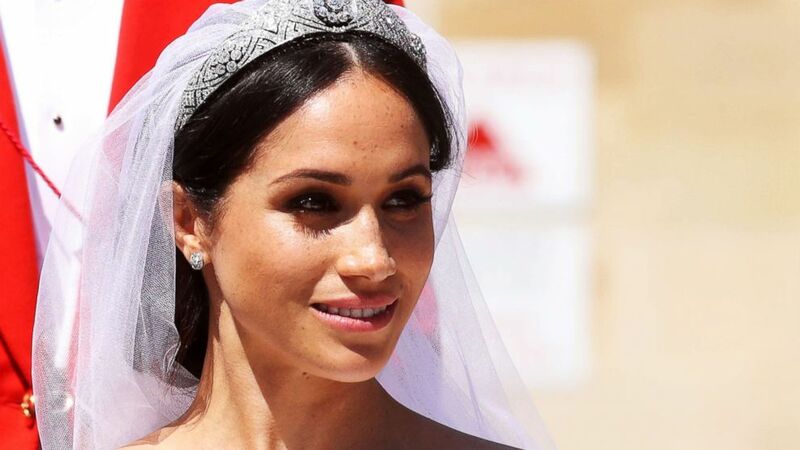 Mehgan Markle and Prince Harry married on May 19, and are now known as The Duke and Duchess of Sussex. The shield’s blue background represents the Pacific Ocean off the California coast. Two golden rays across the shield are symbolic of the state’s sunshine, according to Kensington Palace. The blending of Meghan’s past and future is represented on the shield by the presence of both poppies, California’s state flower, and wintersweet, which grows at Kensington Palace, where Meghan and Harry live. (Neil Hall/Pool via EPA/Shutterstock) Britain's Prince Harry, Duke of Sussex and Meghan, Duchess of Sussex, exit St. George's Chapel at Windsor Castle after their royal wedding ceremony, in Windsor, England, May 19, 2018. “Her Royal Highness worked closely with the College of Arms throughout the design process to create a Coat of Arms that was both personal and representative,” Kensington Palace said in a statement. Meghan’s coat of arms was created for her, not her family, because she is not yet a British citizen. (Damir Sagolj/Reuters) Britain'?s Prince Harry and his wife Meghan wave as they ride a horse-drawn carriage after their wedding ceremony at St George'?s Chapel in Windsor Castle in Windsor, England, May 19, 2018. She grew up in Los Angeles and split her time as an actress between California and Toronto, where she filmed "Suits." Before Prince William and Princess Kate were married in 2011, Kate was granted a coat of arms that represented the history and interests of her parents and two siblings. Meghan, 36, and Harry, 33, wed May 19 at Windsor Castle. 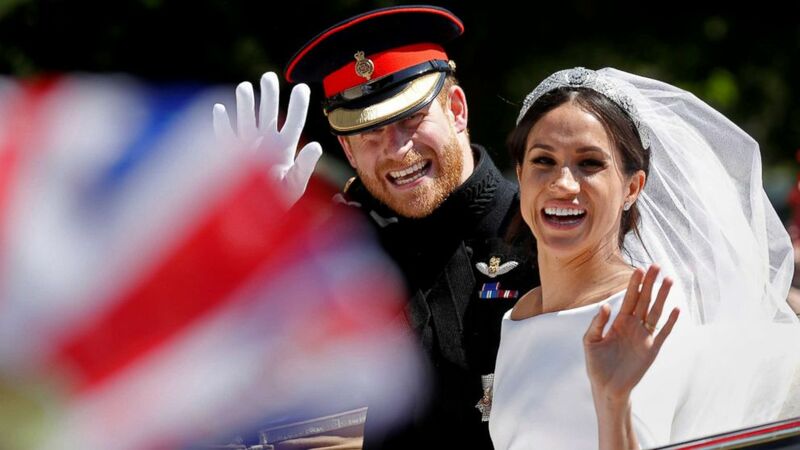 Harry, 33, and Markle, 36 are now known as The Duke and Duchess of Sussex. 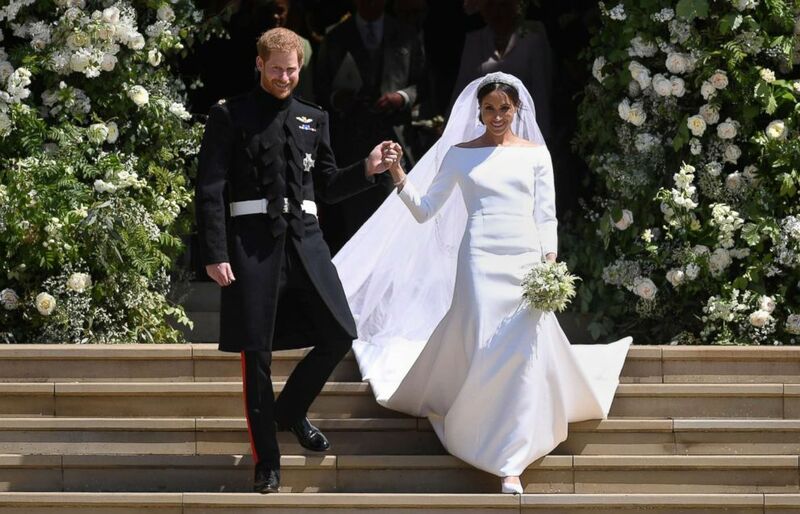 Last Saturday, Shuana Fay started stitching a replica of Meghan's bridal dress. Meghan, a self-described feminist who gave up her acting career when she wed Harry, chose to have on her coat of arms a songbird, "with wings elevated as if flying and an open beak, which with the quill represents the power of communication,” the palace said. On the opposite side of Meghan's songbird is a lion, representing Harry. As is customary, Queen Elizabeth approved the design of Meghan's coat of arms.